Your body’s ability to absorb the nutrients in a supplement is key to its effectiveness. 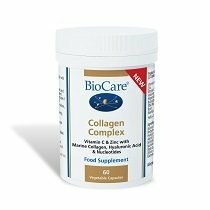 At BioCare, we offer products with the highest levels of absorption possible. Our methylated supplements provide folate and vitamin B12 in their naturally active form, breaking down any barriers to your body using these nutrients efficiently. Browse our methylated supplements below or read on for more information. Vitamins B9 – more commonly known as folate or folic acid – and vitamin B12 are very important nutrients for the body. Together they support your immune system, contribute to healthy blood, and help metabolise homocysteine, which is key to long-term health. Folate also supports the growth of maternal tissue during pregnancy, so it is important for pregnant women to take in an adequate amount every day. 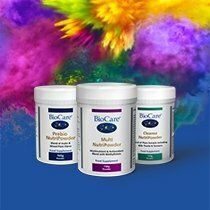 At BioCare, our methyl range of supplements provide folate and vitamin B12 in their most bioavailable form. We use the 5-MTHF (Methylfolate) form of folate, which is the type found naturally in leafy green vegetables and therefore ready for the body to use. Our Methylfolate is provided as Quatrefolic®, which has been shown to be the most effective and absorbable form of folate available on the market. Vitamin B12 is provided in methylcobalamin form, which is the most active variety of this key nutrient. 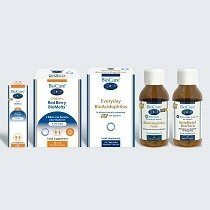 At BioCare, we offer a range of methylated supplements within our high quality Nutrisorb® Liquid supplement range. If you are looking for a focused supplement, Nutrisorb® Liquid Methylfolate gives you 100mcg of folate per drop, while Nutrisorb® Liquid Methyl B12 provides vitamin B12 as a potent mix of methylcobalamin and adenosylcobalamin. If you would prefer a combined supplement, we offer Nutrisorb® Liquid Methyl B Complex, which includes all the B vitamins in a highly bioavailable form, and Nutrisorb® Liquid Methyl FolGuard®, which provides folate and vitamin B12 in their superior methylated form. For pregnant women looking for a high quality multinutrient supplement, we offer Methyl Pregnancy Multinutrient with methyl forms of both folate and vitamin B12. The supplement also includes a wide range of vitamins and minerals plus rich antioxidants supplied by beetroot powder, spirulina and natural mixed carotenoids. Other supplements within our methylated range include Methyl B Complex, which includes all B vitamins including methylated forms of folate and vitamin B12 provided in capsule form, and Methyl Multinutrient, which is a superior multinutrient supplement that provides a rich mix of vitamins, minerals and antioxidants.